Despite being 7 years old, the XF manages to look attractive. The XF 2.0L can be identified on the outside provided you’re viewing it from the rear. Where the 3.0L variant gets an ‘S’ badge on its bootlid, the 2.0L and 2.2L variants miss out on this logo. And between the 2.0L petrol and 2.2L diesel, its the petrol variant that gets dual exhausts. 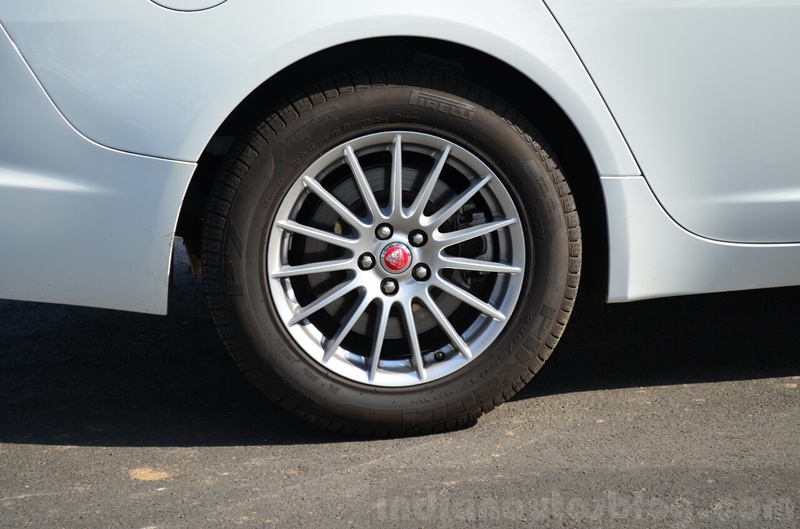 Apart from this, and the 17-inch alloy wheels (the 3.0L gets 18-inchers), there are no design changes to this variant. Despite being over 7 years old, the XF manages to look fresh and classy still. The interiors are a nice place to be in, but the build quality of certain parts could improve. Inside, there are absolutely no signs to indicate that you’re sitting in a base model XF. 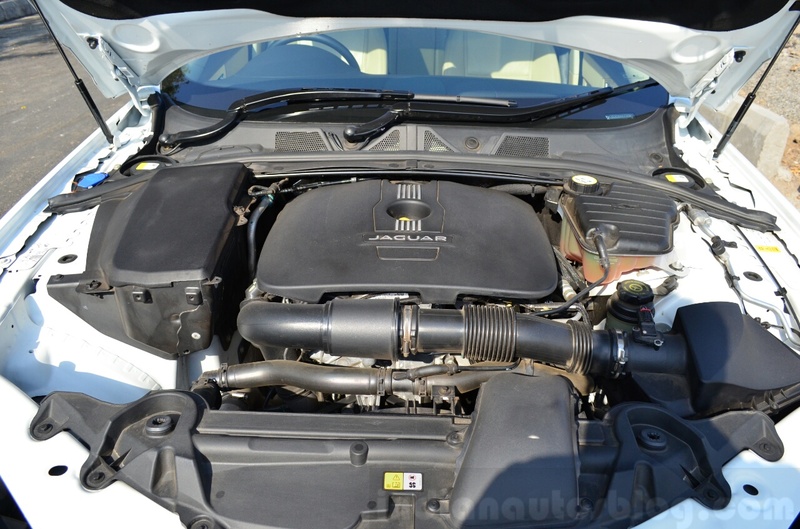 The XF 2.0L gets all the features of the 2.2L, and nearly all the features of the top-end 3.0L. The dramatic interiors, which extend to the gear selector rising from the central tunnel and the aircon vents tumbling outwards, haven't been deleted on the base model. 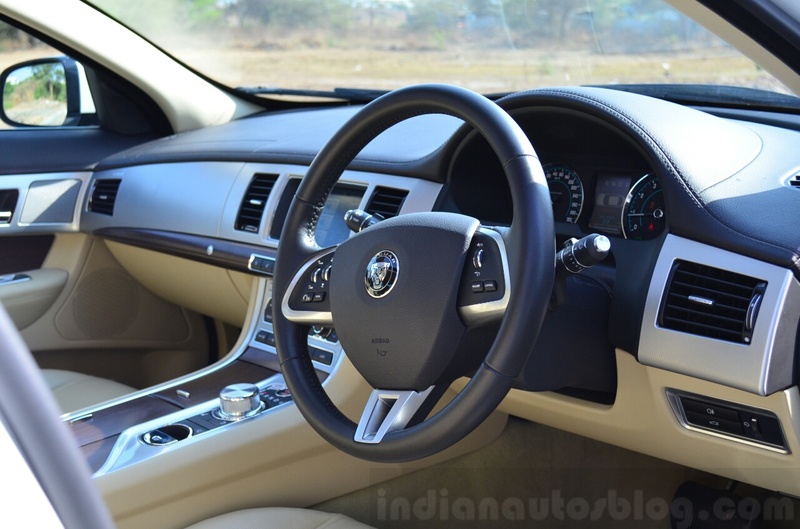 While the interiors of the XF make you feel special, we feel Jaguar could up the build quality of a few parts such as the power window buttons and the wood-panelled center console. Space at the rear is rather good in terms of legroom, but just about adequate in terms of headroom. A button located on the front passenger seat allows the rear passenger to slide the front seat fore and aft. The rear bench as such is better used in a 2+2 configuration given the high central tunnel. 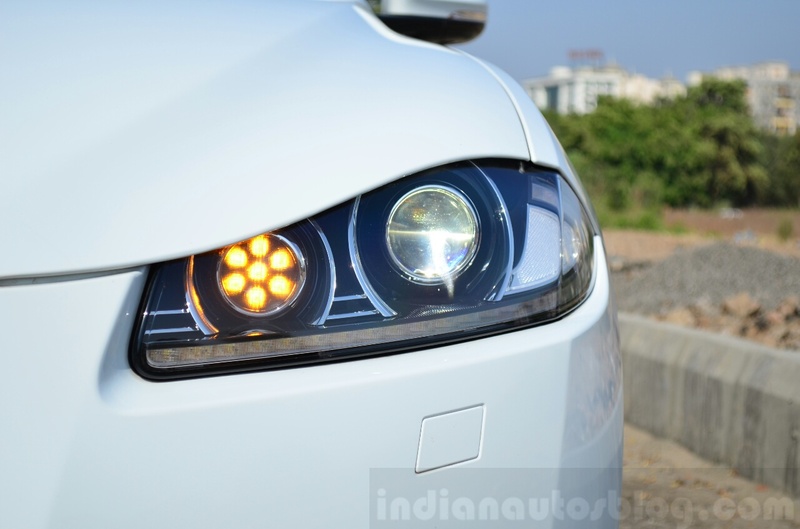 The XF 2.0L gets all the features of the 2.2L model. Though a base variant, the XF 2.0L comes with driver and passenger front airbags along with side curtain airbags, Xenon headlights with LED signature lights, automatic headlights and wipers, front and rear parking sensors with reverse camera, dual-zone climate control, electric sunroof, electric adjustment for the steering column, a rear electric window blind, 17-inch alloys, a 7-inch touchscreen display with navigation, a 250W sound system with Bluetooth, TV Tuner, 6-way electrically adjustable driver and passenger seats and leather upholstery. The base XF, needless to say, remains undiluted in terms of features. The Ford EcoBoost engine produces 240 PS of power. Power for this XF comes from a 2.0-liter turbocharged engine (a Ford EcoBoost engine) producing 240 PS at 5,500 rpm and 340 Nm of torque at 1,750 rpm. Paired to an 8-speed automatic transmission, the XF 2.0L claims to accelerate from 0-100 km/h in 7.9 seconds while reaching a top-speed of 250 km/h. Performance wise, this motor is really alive at its top-end. At lower rpms, the XF 2.0L moves forward, but not with the pace you would expect judging by its on-paper performance. You tend to go a bit harder on the accelerator than you would on the 2.2L diesel variant, which we really like for its low- and mid-range performance. Where the 2.0L engine does score is on refinement and smoothness. The motor is nearly silent until 3,500-4,000 rpm, and its only after this point that you get a slightly muted, yet sporty, exhaust note. On the refinement front, at the higher bandwidths, you never get the feeling that you're straining this engine. 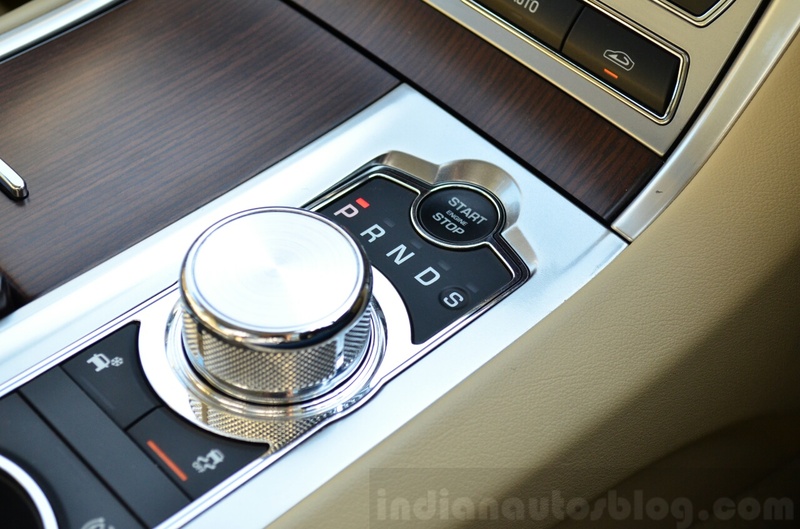 The 8-speed single-clutch automatic is as smooth as a gearbox can get. Aiding the smoothness of the XF is the 8-speed single-clutch transmission, which makes you forget that such a thing as a gearbox even exists on a car. Gear changes can be detected only if you're looking at the tachometer for such is the smoothness of this gearbox. The minor grouse we've with this gearbox is that its a little bit slow in downshifting gears. To summarize, the XF's 2.0L engine is at its best at the higher rpms, while the lower ranges focus more on smoothness and refinement. The handling of the XF is as sharp as its looks. The XF has never disappointed us with its ride and handling package and this base 2.0-liter variant is no different. 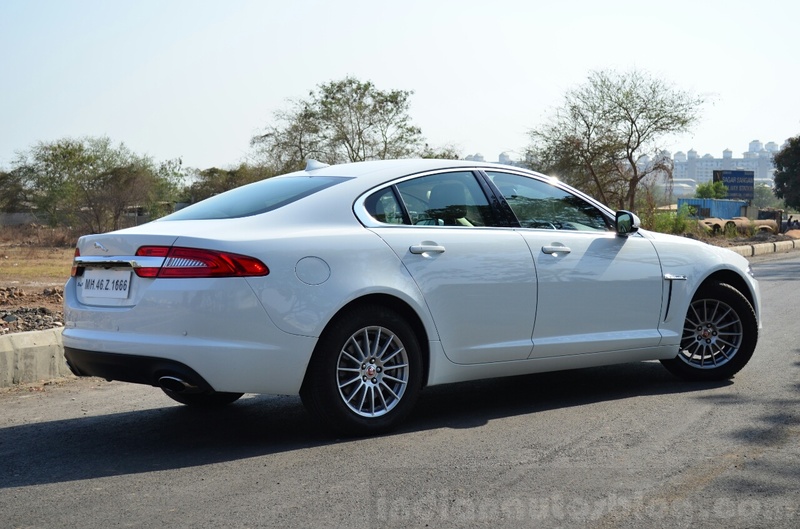 The ride quality of the XF is plaint and absorbent for most of India's roads. Small potholes and bumps are taken care of very well, while the larger craters do filter into the cabin, but not in a manner that would upset its occupants. To put it plainly, the XF's ride quality may not be Mercedes E Class like, but its not as harsh as a BMW 5 Series. As we stated in the start of this section, the XF achieves a good balance of ride and handling, not ride or handling like many of its competitors. The handling of the sedan is as sharp as its looks and the car feels at home on twisty road sections. Despite not having a 50:50 weight distribution, the chassis feels rigid and composed over winding roads. The steering of the XF provides more than adequate feedback and the quick steering ratio really helps when you want to change directions swiftly. 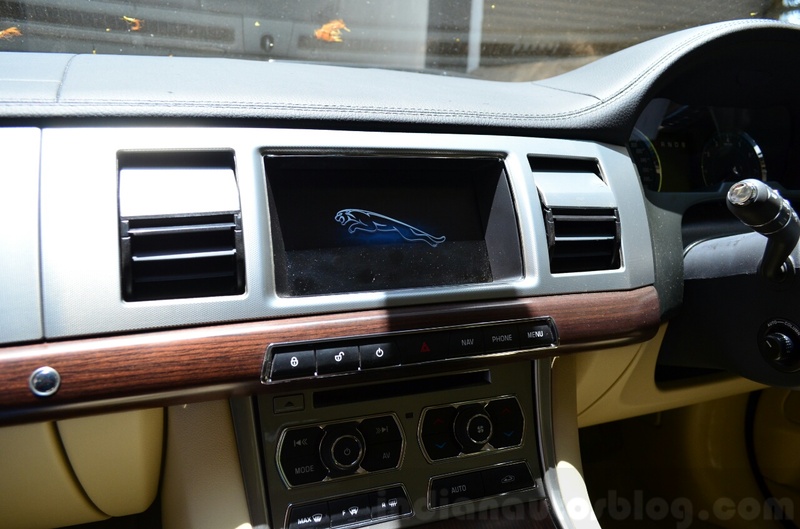 The XF 2.0L comes with driver and passenger airbags along with side curtain airbags. This apart, the sedan features all the safety kit one might expect in a car of this size like ABS, EBD, ESP and TCS. However, fact remains that the XF managed to score only 4/5 stars in the Euro NCAP rating, while all the competitors scored 5/5. The brakes on the car feel adequate, but we think the brake pedal has room for improvement. At low speeds especially, the pedal feels a bit woody. At highway speeds though, the brake is confidence inspiring to use. The 2.0-liter engine manages 7.4 km/l when driven lightly. 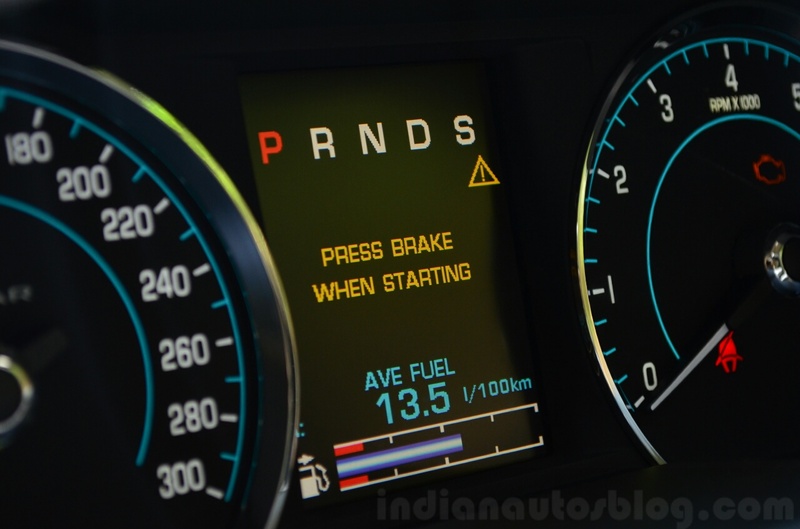 Jaguar claims an ARAI rated figure of 10.8 km/l. We found that figures of 7.4 km/l were achievable provided you had a light foot on the accelerator. Even a small bit of enthusiastic driving saw the figure drop to 5 km/l. The XF 2.0L is priced at INR 48.56 lakhs, ex-Showroom, Mumbai. Between the base variants, our pick is the 2.2-liter diesel which costs nearly the same. 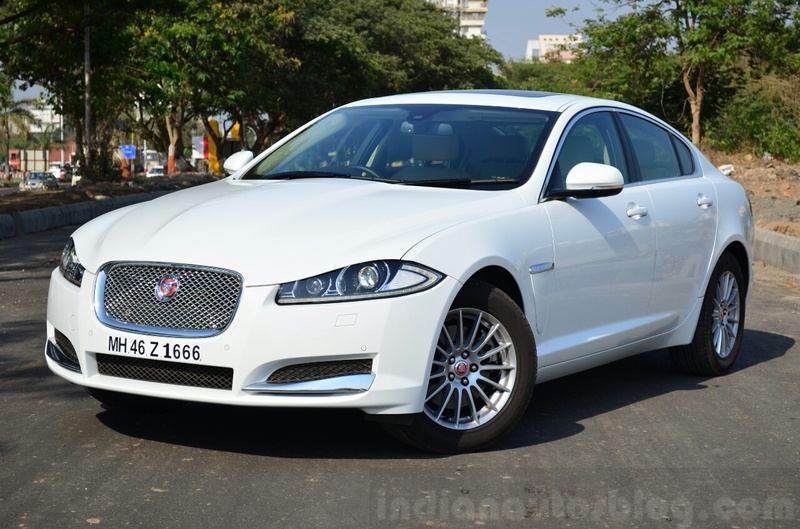 Priced at INR 48.56 lakh, the XF 2.0L is priced almost the same as the XF 2.2L diesel (which comes in at INR 48.87 lakhs). Between the two, its the 2.2L diesel we would put our money on for many reasons: its a diesel, it feels better to drive in the low to mid ranges and it gets the same set of features as the petrol variant. Ultimately, the XF 2.0L is for the enthusiast who will not resort to driving a diesel car and who seeks refinement of the highest level, which this car has no problems delivering.